Casa Rancho is family owned and operated by brother and sister Monica and Alec Quevedo, California natives whose Mexican roots called them to the beautiful Baja peninsula. Alec founded two well established international travel companies (Blue Green Adventures and Journey Mexico) spending over 15 years exploring and sharing the outdoor wilderness areas of Mexico, South and Central America with his guests before embarking on his latest adventure in Baja. His enthusiasm for the outdoors makes him the perfect host for visitors to Baja Sur and if you are looking for something to do that involves adventure and fitness then look no further than your onsite manager! He can be contacted locally at the Casa Rancho cel. phone 612-151-8892 or via email at info@casarancho.net. 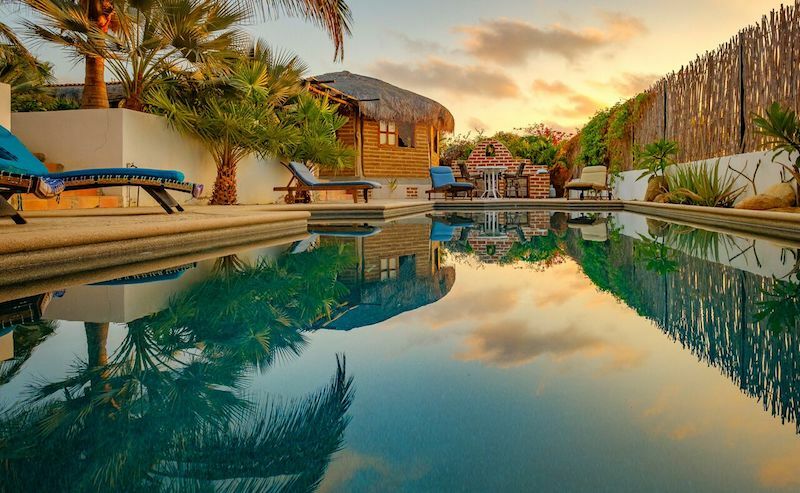 Monica found her paradise in the tranquil town of Todos Santos and with an eye to future retirement decided to purchase and remodel the semi abandoned house that was Casa Rancho. She handles the booking process from California and is available over the phone on our US line at 949-661-7897 and will be happy to answer any questions or help with travel arrangements and make the pre departure process seamless for incoming guests.